So we’ve all been introduced to the DCEU and its major players so far. The inevitable Batman solo movie is coming, and we’ve heard whispers that it’ll contain Deathstroke, Arkham Asylum, Red Hood and possibly every other major Batman villain under the sun. So I got thinking about what sort of a story I’d like to see in a Batman film and came up with a concept where Batman needs to go into Arkham, which has been taken over by Red Hood who holds the Joker hostage. In the film, Bruce would need to deal with his past demons and decide whether he can still save Jason Todd or the criminals he put away over the years. 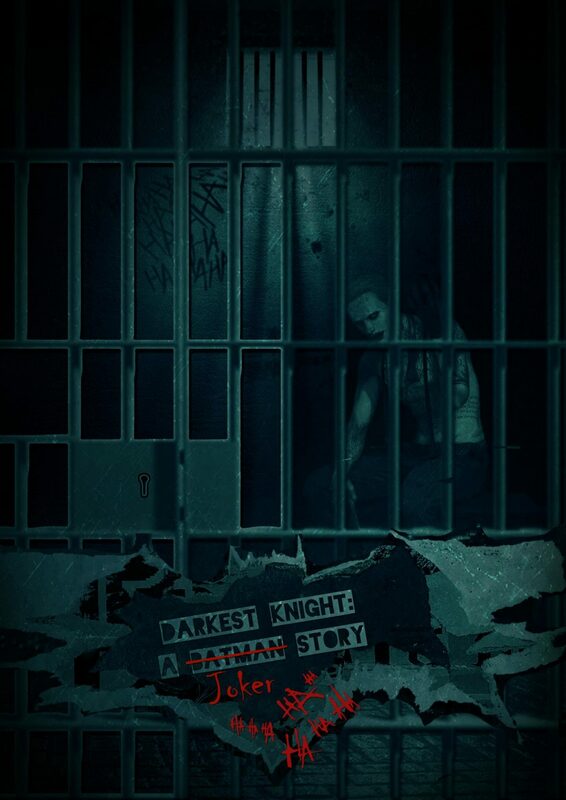 The Darkest Knight is the prologue to this story. The Joker and Harley have been caught and put away in Arkham, but for how long? I hope you enjoy the story. “He misses me, you know,” the green-haired psychopath whispered to the guard stationed outside his cell. “That’s why I need to get out of here. For him.” He flapped his arms and made swoosh noises. “Would you like me to send you photos of your cooked family, Frank? People do say I’ve got a good eye for photography. Just ask Commissioner Gordon for a reference…” He winked. “Yes, shut up, Wobblepot,” the Joker taunted. Oswald Cobblepot, better known as the conniving criminal Penguin, mumbled and retreated to the back of his cell with his book. There was no peace and quiet when the Joker was your neighbour. This time, the guard ignored the inmate’s comments and rested his hand firmly on his pistol. 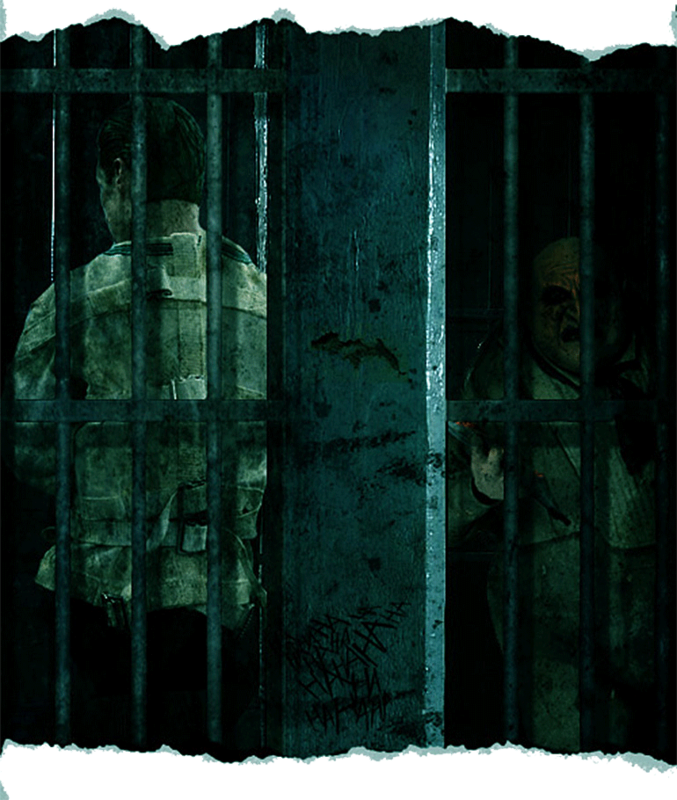 As often as Protocol 182 was in Arkham Asylum, the arrival of new inmates put the staff on edge. Criminals could be rehabilitated since they were ordinary people who’d made a bad choice or two in life – but what’s the cure for pure evil? The guards and orderlies prayed for a run-of-the-mill murderer instead of the Devil’s rejects they shared their lives with on a daily basis. Gunshots exploded from the main foyer, shaking the asylum’s stony walls and rattling the residents’ nerves. The guard sprung into action, drawing his pistol and aiming it at the steel door at the end of the cold passage. Many souls had been lost in the cells, but many more had succumbed to a cruel fate outside of them. The inimitable stench of death still reeked in every inch of Arkham from breakouts gone bad. “That’s my ride,” the Joker proudly proclaimed, as he slicked back his hair and picked at his teeth with his nails. The steel door burst off its hinges and the Joker’s burly henchman, Jonny Frost, opened fire on the hapless guard. The Joker stood quietly, fixing one defiant strand of green hair that refused to fall into place. In the other cell, having instigated many shoot-outs in his previous life on the outside, the Penguin did what he did best: squawk and run for cover. By the time Frost unloaded his machine gun’s first round, pieces of the guard were splattered across the floor, the wall and the inside of the Joker’s cell. “You sure, boss?” Frost asked as he struggled with the cell’s lock. “Yeah, where’d you get it from?” Frost asked. “More importantly, who knew Panda Man could speak?” the Joker added. Panda Man shrugged and handed over the key. Frost put it in the keyhole, but before he could open the cell door, his head met the bars. Over and over again, his head smashed against the metal until he dropped to the floor and stopped moving. 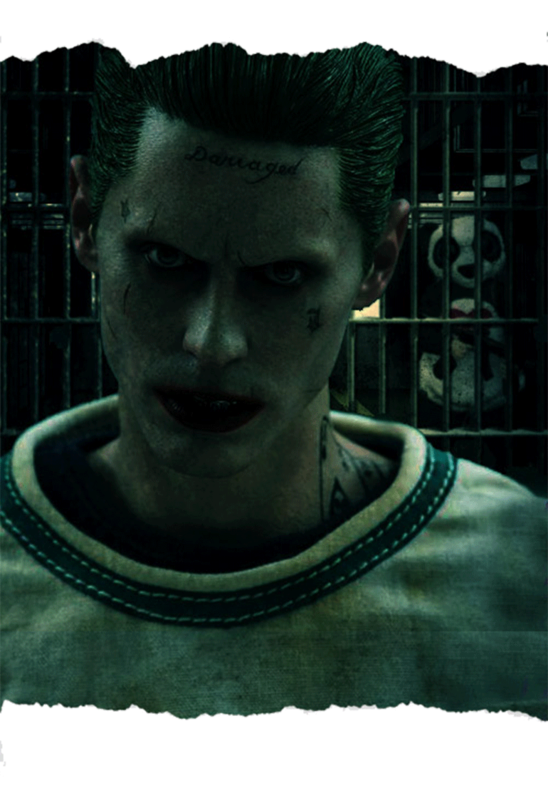 The Joker stared at his fallen henchman and back at the bloodied Panda Man. “So is this your way of asking for a promotion?” he asked. “That’s the plan.” Panda Man chuckled. Joker didn’t find the funny side of it. He charged at Panda Guy, who used the Clown Prince of Crime’s momentum against him and redirected his attack straight into the hard brick wall of his cell. Panda Man removed his furry headwear to reveal a shiny, red helmet underneath. The man shed the rest of the panda suit, showing off a full-body armoured suit covered by a military style trench coat. Like the Bat, he also possessed a utility belt, but with more “persuasive” items than Gotham’s knight. “Let’s say you ‘damaged’ me,” the man said, pounding the clown’s face three times. “Hit him harder,” Penguin encouraged from under his mattress. The madman howled as the jagged blade tore into his flesh. “Somehow I think this might be more personal. Am I right?” he spluttered. Red Hood danced his fingers on the crowbar. “Tell me, which hurts more? A,” he struck the crowbar downwards on the Joker’s head, “or B?” He walloped him again on the reverse swing. Nice! I like the combination of Suicide Squad Joker and Under The Red Hood film. Thanks so much, Dave. Haha! I hope to write more Batman tales in the future.